GatesGates offer a full range of keypads to suit your installation needs. All our hardwired keypads are all vandal resistant, Back-lit and available with Proximity Reader and in 2 channel versions. 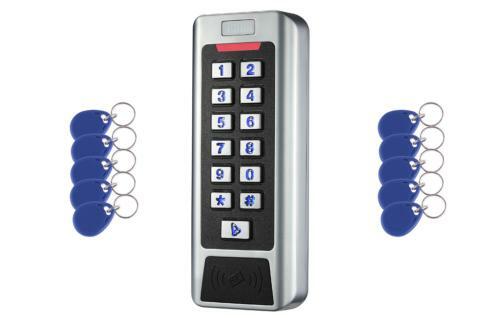 2 channel keypads are popular due to their versatility, being able to use one keypad for 2 sets of gates, or one code for vehicular access and one for pedestrian access, or just to be able to hold the gates open with a one code and the other to code to close automatically. We also offer wireless keypad that are battery powered and can also have one code for vehicular access and one for pedestrian access. 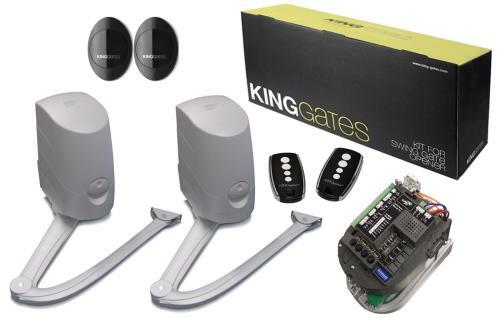 All of our keypads are compatible throughout the king gates range of electric gate kits. Feel free to contact us for any information you may require. We stay at your disposal to answer any of your question and give you technical support in installing your sliding gate accessories. 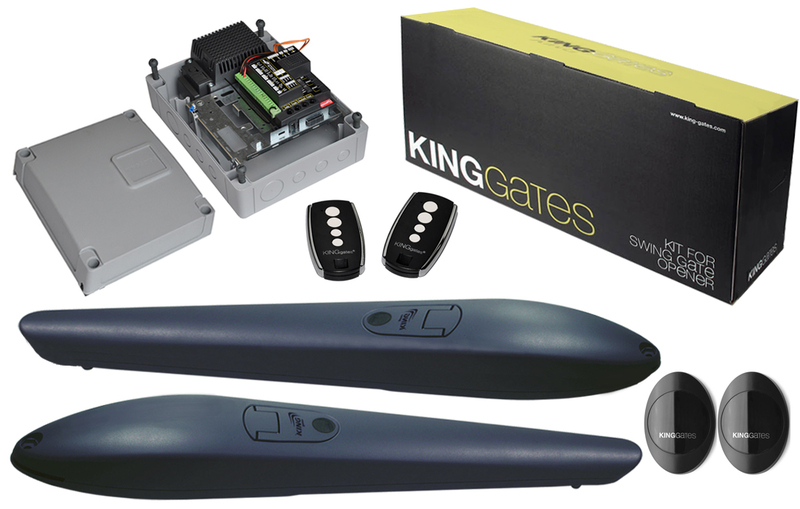 Discover our wide selection of electric gate kits for swing and sliding gates. Also available on our website, a comprehensive range of electric cate assessories. The 2 channel Stand aloneBacklit Keypad with Proximity Reader is stylish and robust; it has 2 relayoutputs that enables you to be able to trigger 2 separate entrances such as vehicularand pedestrian gates, it is suitable for internal or external use, and is veryeasy to install. The Keypad has a built-in Proximity read and can take up to1000 users by code or proximity tags, which can be set up to operate in threedifferent ways: PIN Code only, Prox Tag only and Prox+PIN. 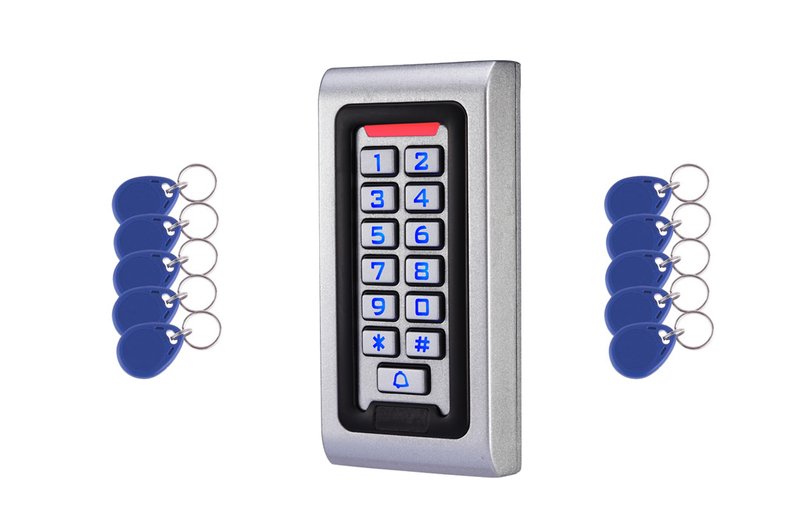 The keypad is madefrom a vandal resistant zinc alloy and has electric blue backlit buttons foreasy night time visibility, plus three indication lights for access granted,access denied and programming mode. 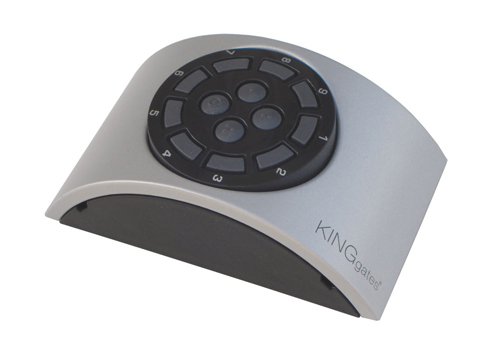 The keypad has a normally open, common andnormally closed clean contact outputs (Maximum 3Amp), with a time adjustmentfrom 1 to 25.5 seconds. The keypad requires 12 to 26 Volts DC power and is IP68 water resistant rated. The Stand alone Back-lit Keypad with Proximity Reader is stylish and robust; it is suitable for internal or external use, and is very easy to install. The Keypad has a built-in Proximity read and can take up to 1000 users by code or proximity tags, which can be set up to operate in three different ways: PIN Code only, Prox Tag only and Prox+PIN. 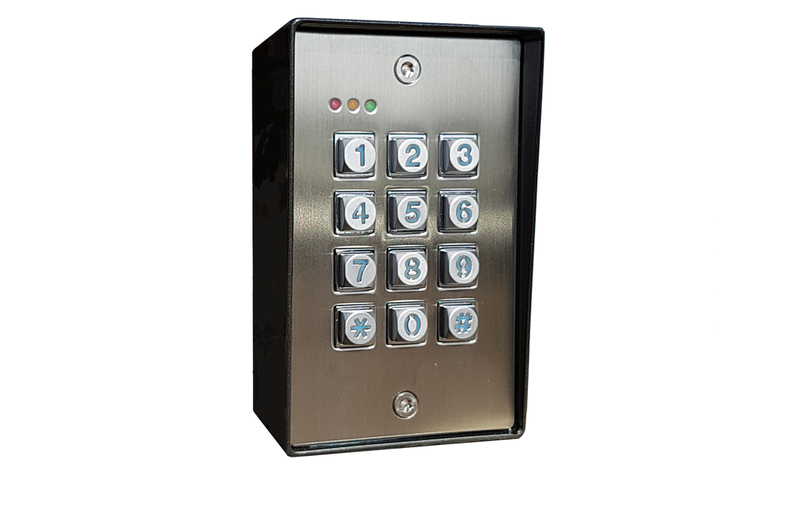 The keypad is made from a vandal resistant zinc alloy and has electric blue back-lit buttons for easy night time visibility, plus three indication lights for access granted, access denied and programming mode. The keypad has a normally open, common and normally closed clean contact output (Maximum 3Amp), with a time adjustment from 1 to 25.5 seconds. The keypad requires 12 to 26 Volts DC power and is IP 68 rated, water resistant and suitable for outside use. 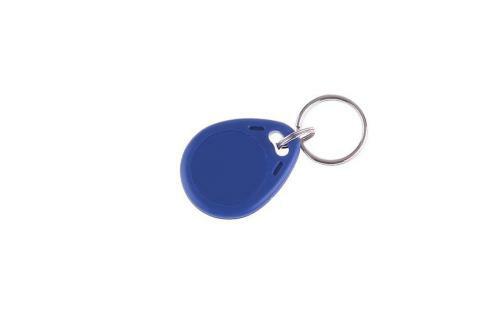 Additional or replacement fobs/proximity tags for key pad and prox readers..
Additional or replacement fobs for the prox reader of our key pad pack of ten. 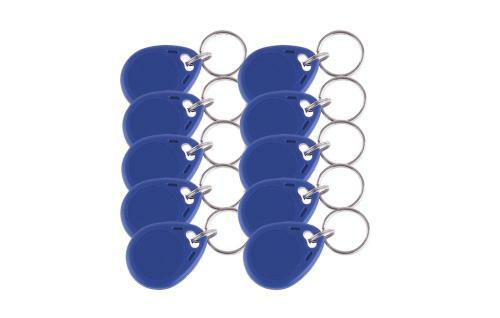 Additional or replacement fobs for the prox reader of our key pad pack of 500.